Every Regular and Jumbo size Fantasy Football Draft Kit, and every Fantasy Baseball, Fantasy Basketball, and Fantasy Hockey Draft Kit comes with a free Draft Board Personalizing Kit so that you can add your league and team names to your draft board. 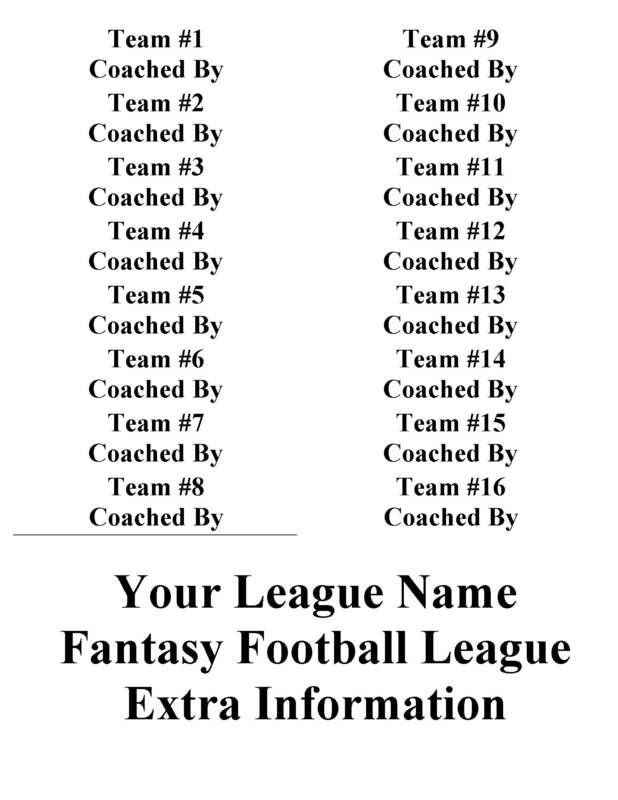 Because so many leagues add or loose coaches before the season starts, and because many teams will change their name, we have found that giving you the option to print your information when you are ready, is the most effective way to personalize your draft board. 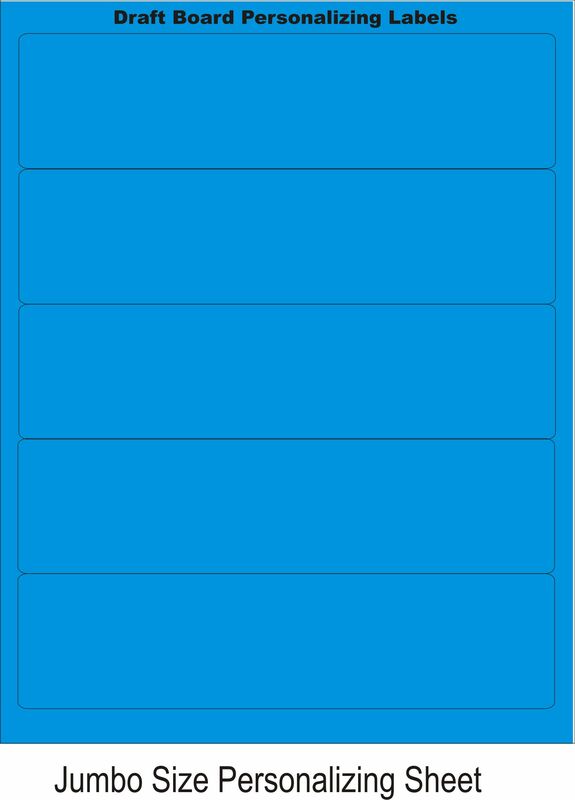 The draft board personalizing kit includes a custom set of self adhesive labels to print your league's name and all of your team names on. Along with the labels, you get access to templates on our web site where you can easily input your league's information and then print out the labels on your printer. See samples below.